TORONTO -- Bell Canada and IBM Canada Ltd. are teaming up with the Toronto-area city of Markham, Ont., to test a new generation of systems for monitoring city infrastructure and detecting problems such as storm flooding. The six-month research program that starts in April will combine Bell's broadband networks, IBM data analytics and data from sensors placed in various parts of the city of 355,000 residents, northeast of Toronto. Similar trials and evaluations are being conducted across Canada and around the world, as an array of vendors promote the potential benefits of using the "smart city" concept to manage costs and improve services. 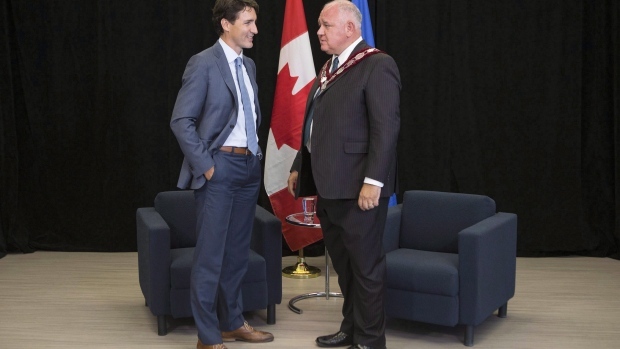 Mayor Frank Scarpitti said Markham -- home to hundreds of domestic and foreign-owned high technology businesses -- said the Bell-IBM project is an opportunity to share the costs of sizing up what will work for the city. "We've got two giants in the technology field that are working with us on the pilot project," Scarpitti said in a phone interview. But he said the city government will be evaluating whether the investment in staff time and other costs will be worth the effort "given further investments that would have to be made to make it more comprehensive across the city." Although such things aren't typically on the mind of citizens, Scarpitti said it's "critically important to make sure that we can either extend the life or better manage those assets." The federal government has conducted a "smart cities" challenge to provide millions of dollars in prizes for communities across Canada to encourage communities of all sizes to look at ways of adopting the new technology. Canada's major telecommunications companies, including Bell and its rivals, have also invested billions of dollars to build capability to do large-scale data collection with high speed fibre optics and wireless networks. However, some of their plans may be disrupted by an ongoing debate over the security risks posed by Huawei Technologies Inc. of Shenzhen, China -- one of the suppliers used by Bell, Telus and other Canadian telecom carriers. But Scarpitti said he doesn't foresee a similar problem with the Bell-IBM project, because it will be monitoring the city's equipment and infrastructure assets. "It doesn't involve -- unless something changes -- any private information of our citizens."